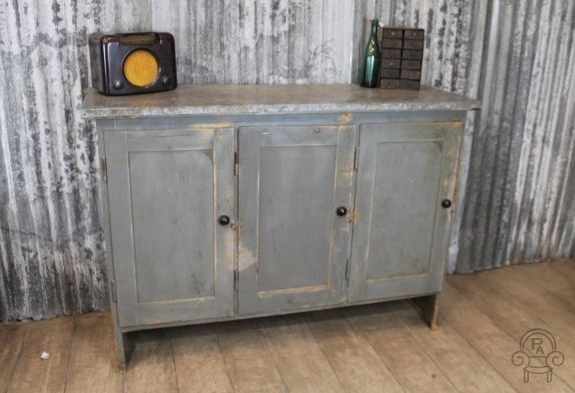 This beautiful vintage style sideboard is a fantastic addition to our eclectic mix of antique and industrial furniture. 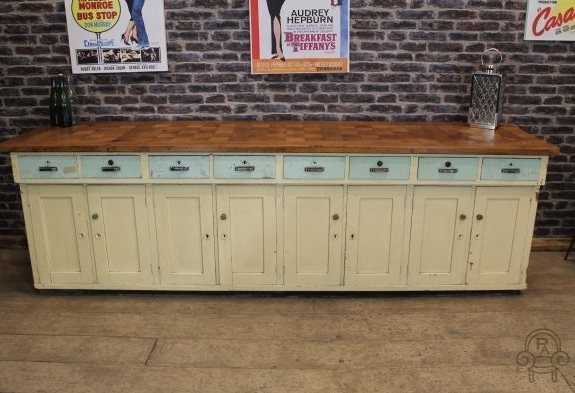 This 1930s multi-drawer pine and oak vintage style sideboard / kitchen dresser has been recently acquired from a large clearance. 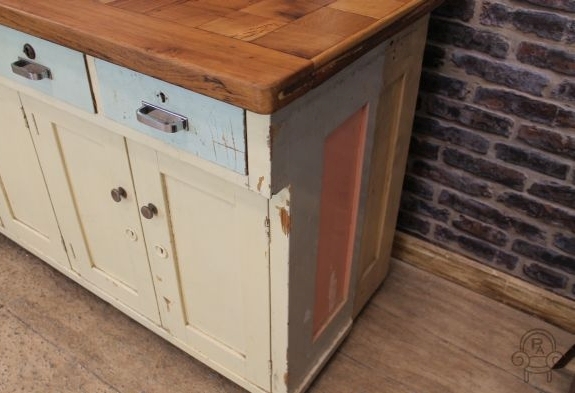 This lovely item has a large parquet solid oak top, with a multi-drawer and cupboard base, providing a large amount of storage space. 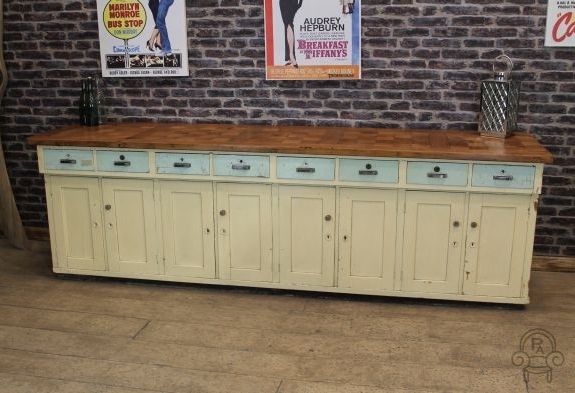 The vintage style sideboard has been painted in a duck egg blue and cream, but this could easily be repainted to suit any interior. 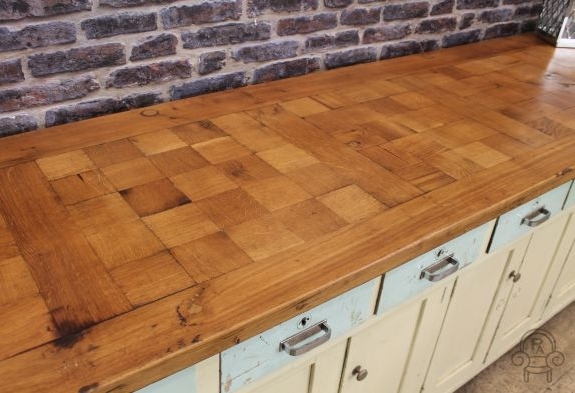 The base of the sideboard is made from 100% solid pine and could be stripped to suit a different style space. 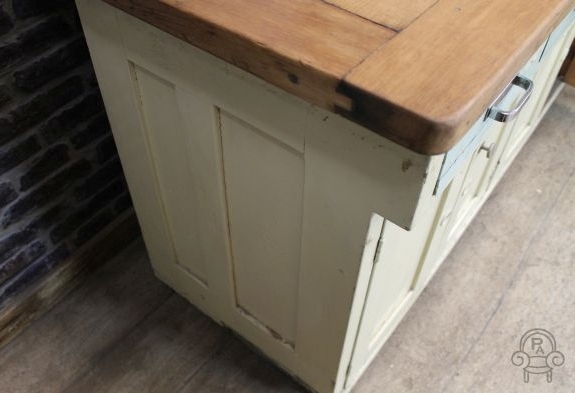 This piece is in a good condition, but as you can appreciate due to the age of the item, there are some signs of wear and tear, we feel this only adds to its authenticity and charm. 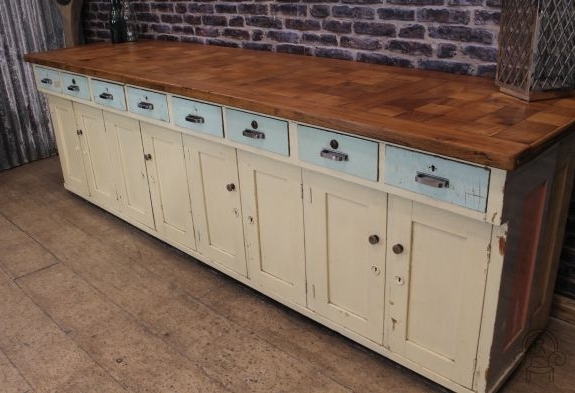 This is a great functioning large item of furniture, which would be perfect for a large kitchen or country style property. 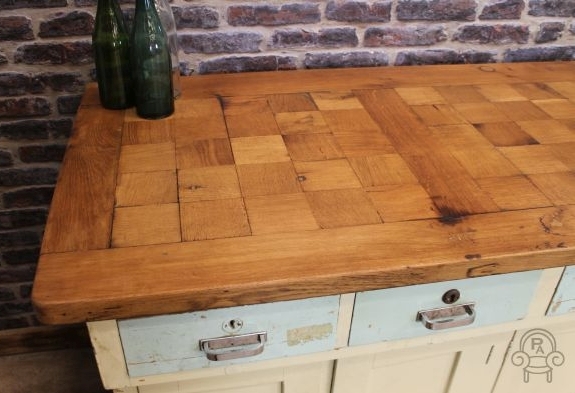 Please note, the other items photographed are not included in this listing. 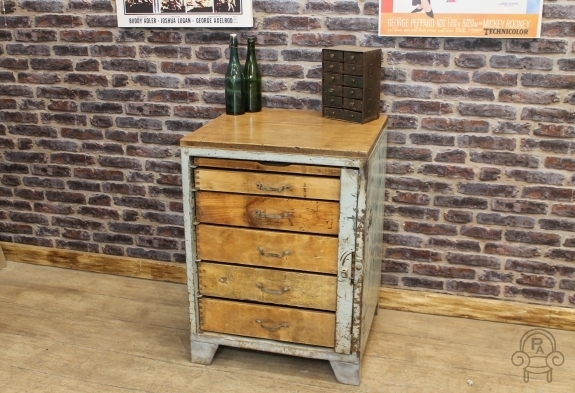 These vintage industrial drawers are a classic item of industrial style furniture. 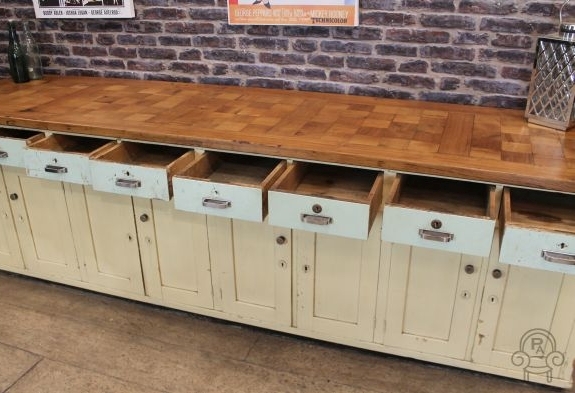 The steel and pine bank of engineering drawers / work station has a lovely patina to the wood, and with all the drawers running smoothly is in a good condition for its age. 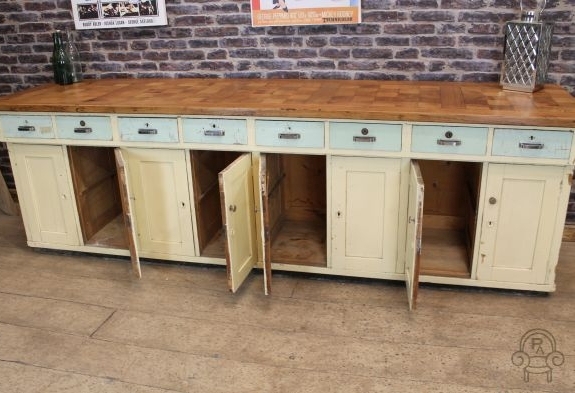 This item of furniture would be great for any urban warehouse space, or for a commercial property as a meet and greet or work station. Please note, other items photographed are not included in this listing.